Hair loss can be a problem for both men and women and start at any age. 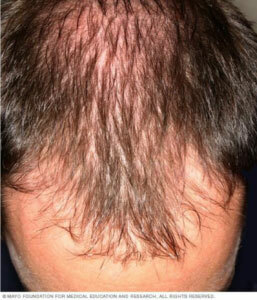 Causes are many including male pattern baldness, hormone imbalance and thyroid disease, anxiety and stress. It presents as thinning of hair which may be localized or diffuse. 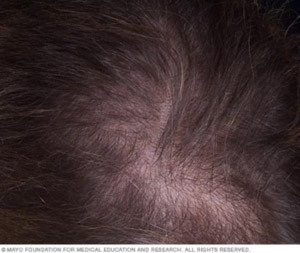 Regenerative Medicine Techniques can be applied to hair loss prevention and restoration. If the cause of your hair loss and decreased hair density is hereditary, such as with androgenic alopecia, the goal of treatment is to stimulate dormant hair follicles. Using therapies to stimulate dormant or sluggish stem cells around the hair follicles can help reverse the miniaturization of hair follicles and improve overall hair growth. Treatment options that Dr. Kulback offers are similar for both men and women and can easily be done in the office with no downtime. Hair loss is treatable and is not something that has to be permanent. Male-pattern baldness: typically appears first at the hairline or top of the head. It can progress to partial or complete baldness. Female Hair Pattern Hair loss: baldness typically starts with scalp hairs becoming progressively finer and shorter as you age. Many women first experience hair thinning and hair loss where they part their hair and on the top-central portion of the head. Our superior system for medical micro-needling maximizes depth & strength of treatment.